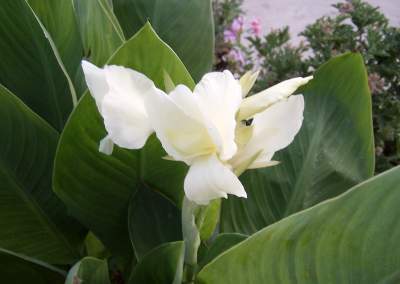 Canna ‘Ermine’ creates large, sumptuous flower heads in the fall. 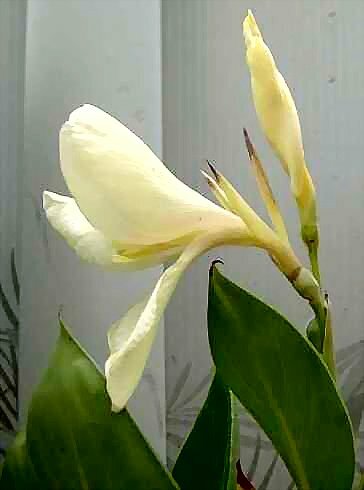 C. ‘Ermine’ buds are opening. 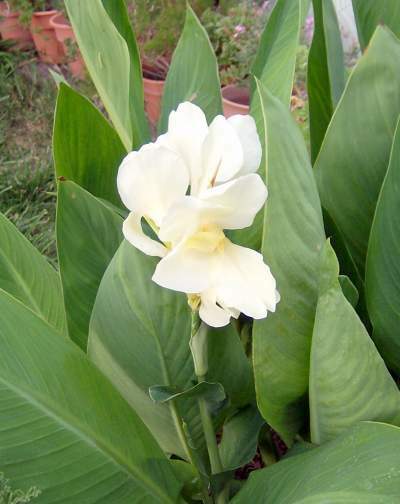 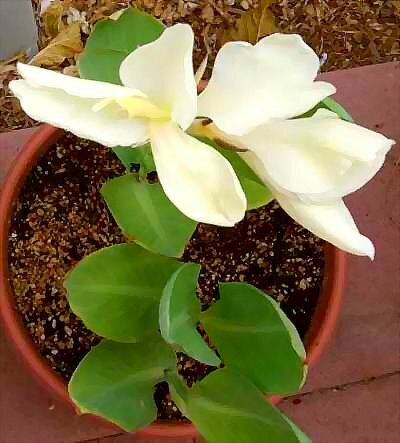 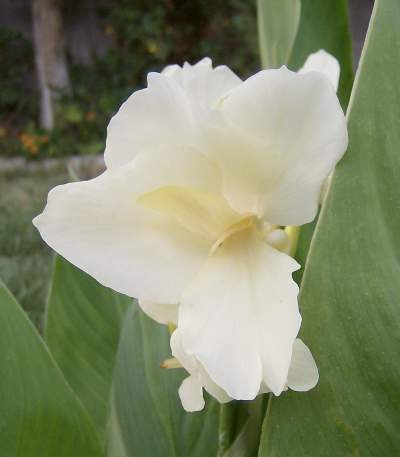 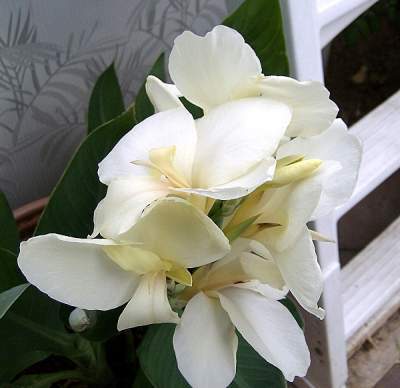 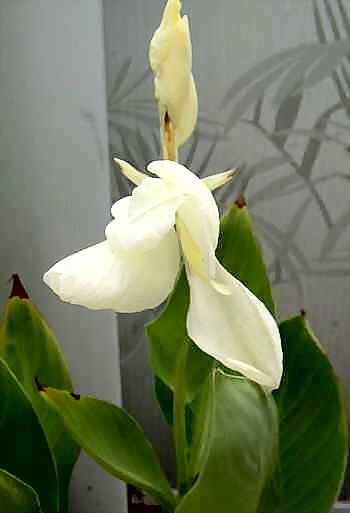 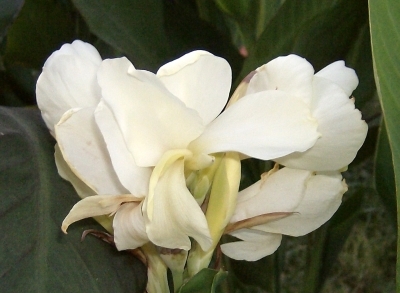 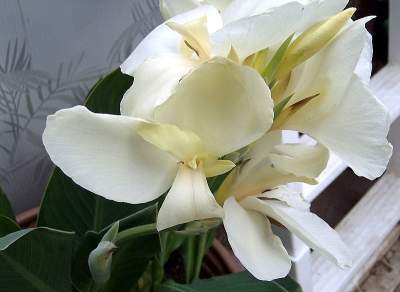 Ermine is a short little canna with light green leaves. 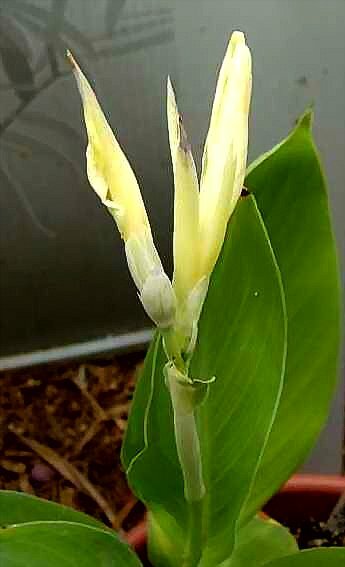 This particular canna is a new seedling to my yard. 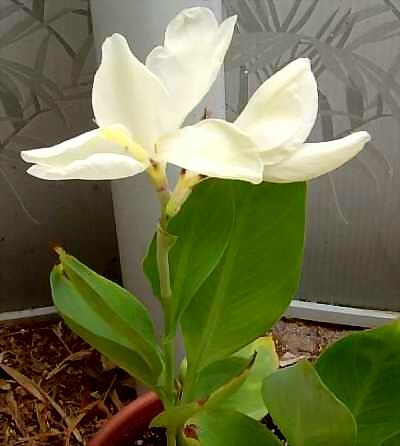 I’ve got it growing in a large pot in dappled sunlight. 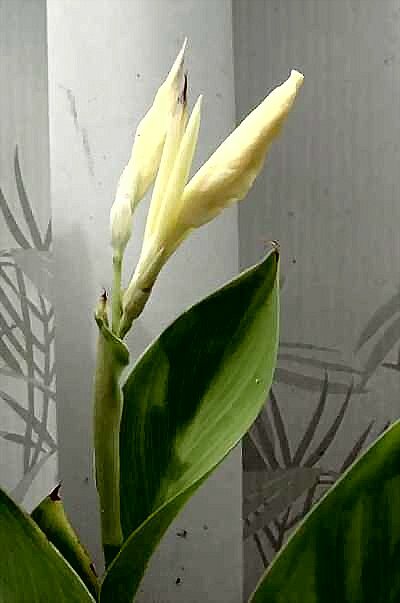 I’m really excited to see it ready to bloom so quickly!